In this edition of Glitter Crunch Box you will receive the Gnome Sweet Gnome Box! 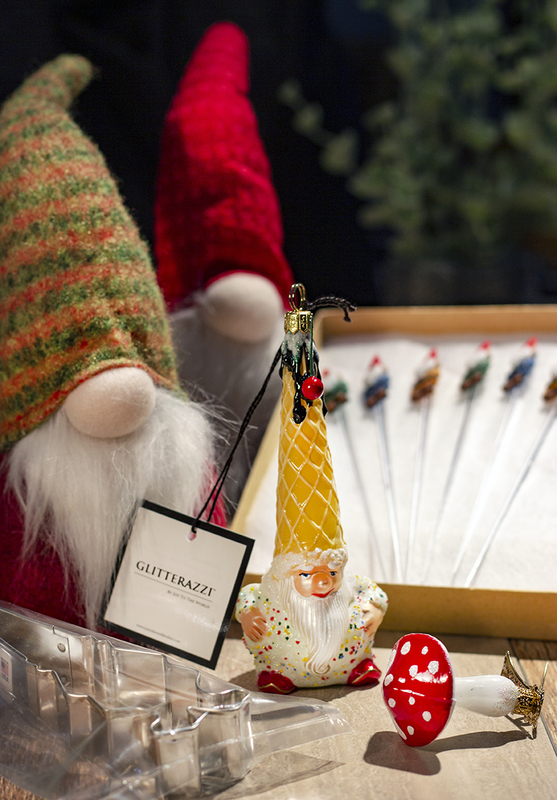 You will receive a hand painted Ice Cream Cone Gnome Ornament as well as a hand painted Gnome Home Mushroom Ornament. Also, you will receive a set of six acrylic Gnome themed cocktail picks that are paired perfectly with a Gnome shaped cookie cutter! Last but not least you will receive a pair of Swedish inspired plush Gnomes that are the perfect Gnome decor!